Incorporate Wyoming Business Online. Wyoming Corporations takes only minutes. Follow the IncSmart order form for Wyoming Articles of Incorporation. Instant order confirmation via Email. Stamped Wyoming Corporation Articles will be returned to your email address and or US Post Address. The person placing the order affirms that the person designated as registered agent has consented to the appointment. By placing the order, you are subject to the penalties imposed by law for the submission of a materially false or fraudulent instrument and certifies under penalty of perjury and that IncSmart is authorized to execute the filing of the articles. IncSmart.biz is here to help you. The online Wyoming Corporation order form will simplify the filing process. IncSmart.biz Inc will use your information and file all documents with the Corporation Division of Wyoming . We take the guess work away from you. IncSmart is your business filing solution for Wyoming Corporations. 3. Relax. IncSmart will send you the documents after filing. Wyoming Corporation order form takes only minutes. Instant order confirmation via Email. Check your order confirmation for spelling.When you register a Wyoming Corporation, the information you submit is a public record and will be posted on the state website. Business registration can be searched by business name and also by individual name. Home addresses should not be used for business registrations. IncSmart only uses authorized document filing providers as third party registration companies related to business activities only if the third party agrees to adhere to all applicable requirements for participation in Wyoming and Belize filings. IncSmart does not file in Wyoming or Belize, but can assist you with third party filing companies. 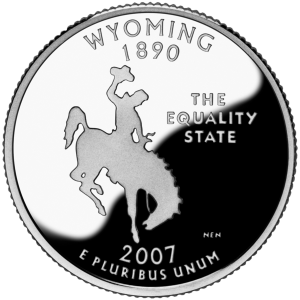 If your Wyoming company has business owners who do not live in the United States, the Wyoming Limited Liability Company may be a suitable company as it does not require members to be US citizens. Ordering a Limited Liability Company is easy from IncSmart.biz. If you are an attorneys, CPA or Real Estate agent, a Professional Corporation will be better for you. Apostilled Wyoming Certificates for England, Australia, Canada, or any country with membership in the Hague Convention. The Apostille certifies the authenticity of the signature on corporation documents. Legal plans for 40 years, creating a world where everyone can access legal protection - and everyone can afford it. Unexpected legal questions arise every day, youÃƒÆ’Ã‚Â¢€ÃƒÂ¢Ã¢€Å¾Ã‚Â¢ll have access to a high-quality law firm for as little as $17 a month. From real estate to document review, speeding tickets to will preparation, and more, our attorneys are here to advise you with any legal matter - no matter how traumatic or how trivial it may seem. Our law firms are paid in advance so their sole focus is on serving you, rather than billing you. With our legal plan you will be protected and empowered to worry less and live more.